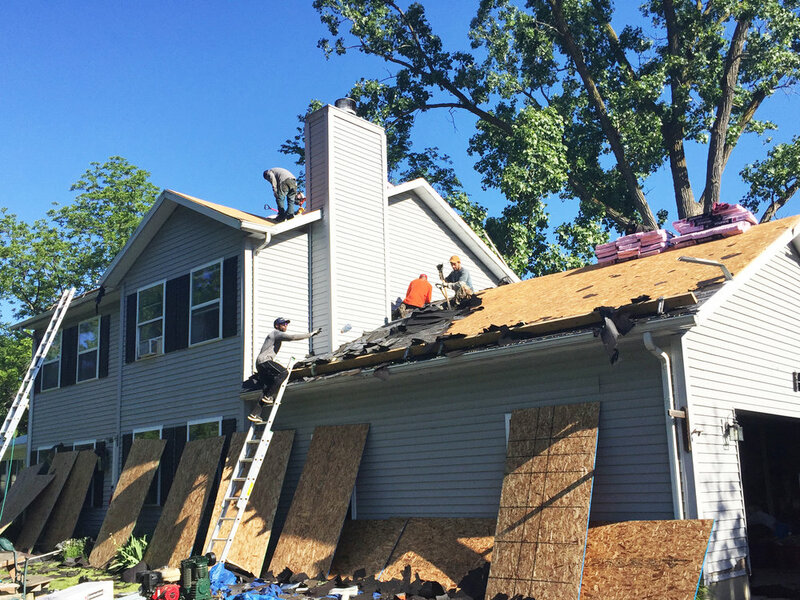 The Neighborhood Roofing crew installed a complete roofing system on this Ann Arbor home. 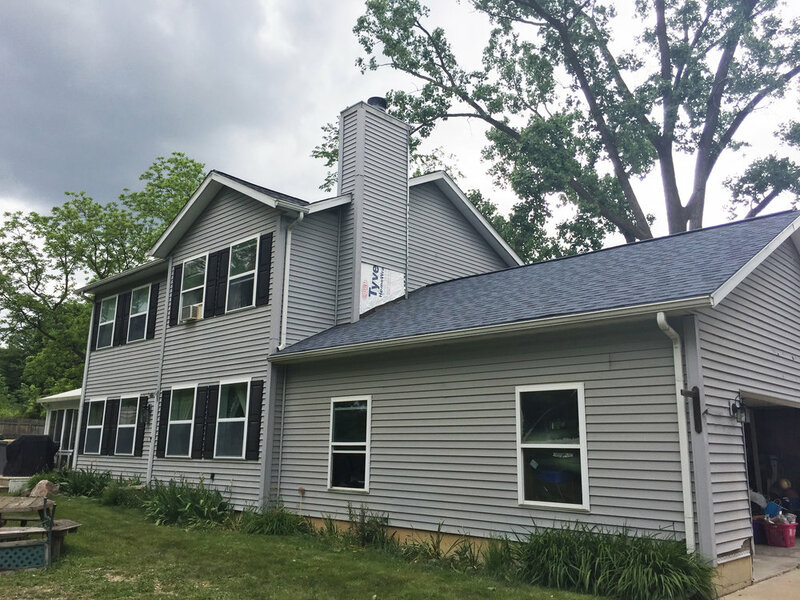 The Harbor Blue shingles complements the entire home design. Chimney repair was finished.